Hello and WELCOME! 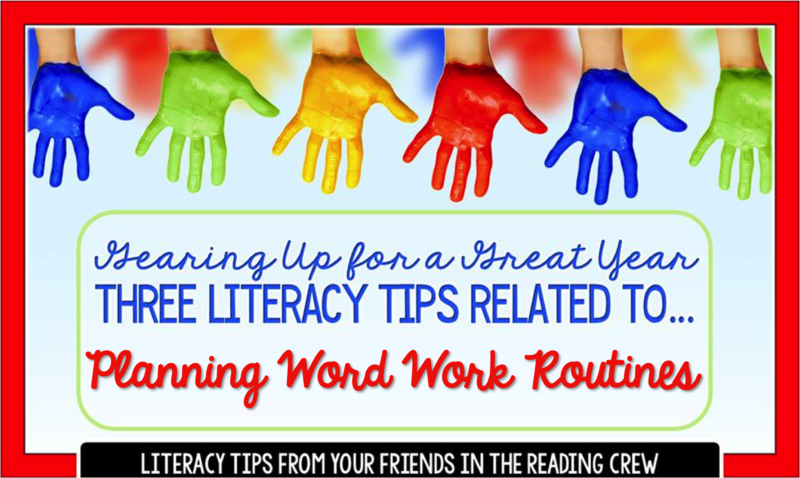 Thank you for joining me, and The Reading Crew for our Back to School Literacy Tips link up. I know as I get ready to head Back to School, I am always looking for new ways of organizing, planning and revamping some of my lessons. There is a wealth of information, tips and FREEBIES in this link up, and I hope we have just the thing you are looking for. If you want just the highlights of this blog post, you can watch this (3:30) video instead! My favorite part of literacy instruction is WORD WORK! It is the foundation for everything that is to come later. Not to mention how much FUN word work can be. I have never heard a student say they didn't like to play games, or use different tactile methods to learn phonics patterns and sight words. 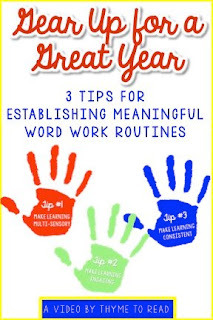 So, I'm going to share my THREE BEST WORD WORK TIPS with you. Tip #1: Make It Multi-Sensory: Multi-sensory teaching can mean a lot of things. The first thing that comes to mind is tactile learning. It is true, a lot of our learners (especially struggling learners) retain tasks better if they have had a hands on experience with that skill. Using materials like shaving cream, sand tables, rice and sandpaper are great ways to engage your students' tactile sense when working with words. You can change up the materials to keep things fresh, but by allowing your students to activate their mind through touch, you will help them to retain the skills you are teaching. 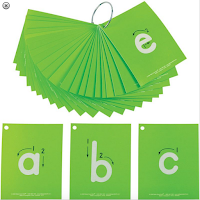 I have these letter cards (from Really Good Stuff) and my students love them. I use them for letter recognition, as well as building basic words that match our phonics skill for the week. 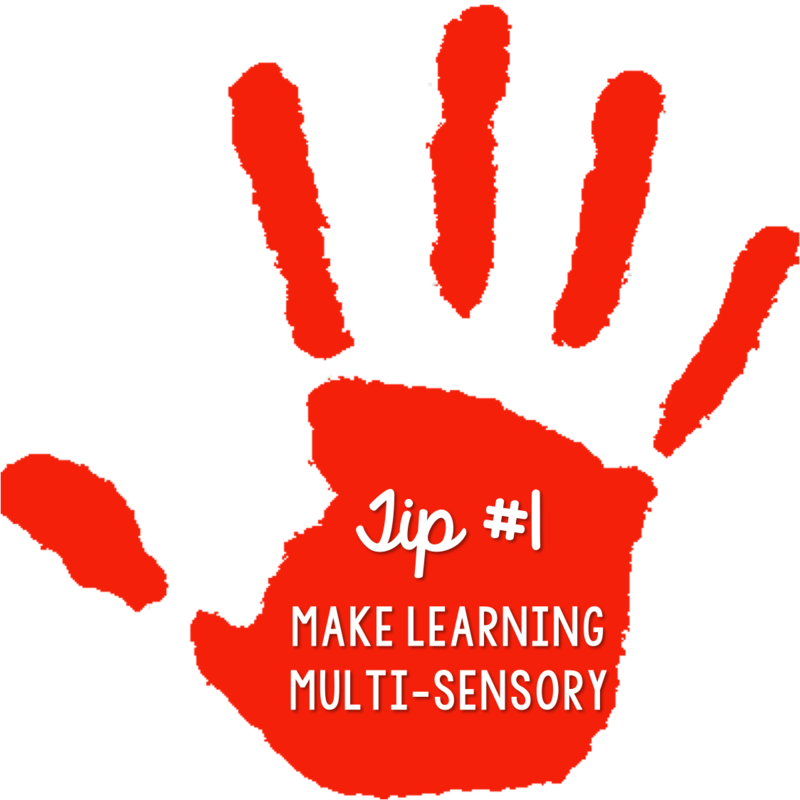 But...if you look at the word MULIT-SENSORY, MULTI is really the most important part. When teaching phonics skills or sight words, engaging as many of the students' senses as possible is what is the most important. Try to use a variety of activities that incorporate hands on learning, big body movements, auditory (make sure they hear and produce the sound/word) and visual (make sure they see how a phonics sound or sight word is spelled). For example, if I am teaching the final -ck sound. I will give my students a concrete object to think of like a backpack. I bring in a backpack and we fill it with the letters -ck written on index cards, pictures or drawings of final -ck words (brick, clock, duck, kyack). We use rice tubs to write -ck while I model and the students copy the sound final -ck makes. Then I ask my students to write words that have the final -ck sound (kind of like a spelling test, but without time to study) so I can see if they are applying the sound in isolation. I also ask them to write a sentence that highlights the sound. In this lesson, I am trying to get them to interact with the sound as much as possible using various senses so it will STICK! This method of teaching is an Orton-Gillingham approach. It was designed for students with dyslexia, and since being trained in the Spring of 2015, it has completely changed the way I teach phonics and sight words! Like I said, this is my passion, so please check back for my blog posts about multi-sensory teaching. Tip #2 Make It Engaging: I know we all strive for our lessons to knock it out of the park, and for our students to still be talking about how awesome it was two months later. But the reality is, they probably are not talking about how great your lesson on the word "what" was. But don't worry, I know you ROCKED it! Word work is something that we teach everyday and it can become monotonous. When it does, your students are probably tuning you out. So keep your lesson ENGAGING. Keep in mind the short attention spans of your students and hit them in spurts (but make sure you are doing it every day). You can incorporate games and competition. I love taking games my students already know and turning them into word work games (Memory and Go Fish). They also really like made up games like Bam! and Don't Feed the Raccoon. I have also given my students a word of the day. During independent reading time, my students are on the hunt for that word. Every time they find it, they get a ticket, and at the end of the day whoever has the most tickets is rewarded. Often, collaboration can work just as well as competition. Padlet is a simple app (or desktop website) in which your students can collaboratively share "post-it notes." Instead of doing a word of the day, I might do a sound of the day challenge. For this, my students will look out for a sound, such as long a. When they find the sound (ai, ay, a(magic)e, or open syllable a) they will post the word on the Padlet with their name. Everyone participating can see the posts so the students know who is finding the most words and will hustle to find more. Something else to keep in mind is trying to keep these skills fresh in your students' mind. Finally, as a solution to "I forgot that..." I spiral review skills and words from weeks past in a Throwback Thursday Review. We play games and recycle center activities to give a quick refresher. 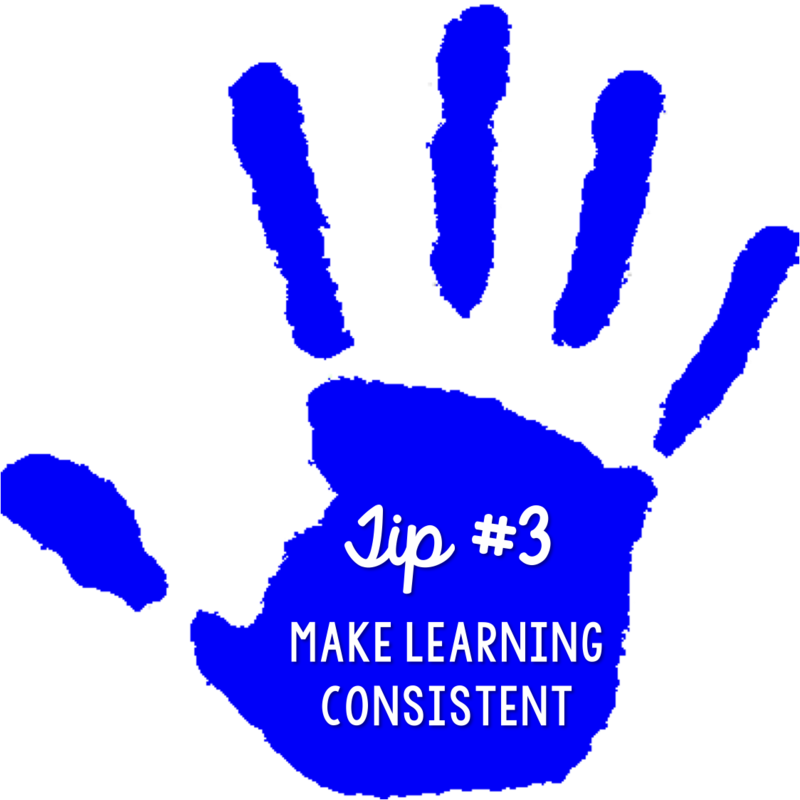 Tip #3 Make It Consistent: There is nothing worse than feeling like you spent half of your instruction time going over directions and expectations. Especially when working with your struggling readers, every second is precious and it is crucial that you maximize your instruction with them. For that reason, I keep my routines and expectations consistent. My students learn quickly that when they enter my room, they need their notebook, a pencil and they need to get to work on our bell-ringer (a warm-up posted for review). Then we quickly get into our lesson. I try to teach word skills early in the week, and practice/reinforce them later in the week through various texts. This is a daily and weekly routine that my student come to expect. It is predictable and once learned, it leaves more time for instruction. I also take this a step farther. Even my lesson routines are consistent. My students come to expect using rice to write our phonics sounds and using other multi-sensory techniques for sight words. They know right when they will need to use their notebooks or when it is appropriate to grab crayons for sight word practice. Even with the games we play, I keep consistency. For example, BAM! and ZAP! are the same game, but the different name makes it a whole new world of fun. We can play BAM! or ZAP! with game cards or popsicle sticks, same game and rules, new fun! My students play the same 5-6 games all year, but between rotating the games and changing out the content it always stays FRESH and ENGAGING, while remaining CONSISTENT. Why is consistency so important? When rules, expectations and routines are consistent, you are able to free up more of a student's working memory. This "extra space" can be used to learn content, the real important stuff. Have you ever taken a Zumba class? The first time you take the class you are really concerned with what the steps are, doing them right, and not looking like a fool. But, if you go to the second, third, fourth...classes, you notice the routines are reviewed. Each time the dance gets easier. Your working memory is not worried about what the steps are, but now you can increase the intensity of your workout and have fun. This is exactly what we want for our students! 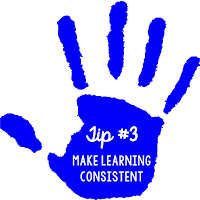 Now, I want to help you with establishing more consistency in your classroom. I have one of my most downloaded FREEBIES here for you today - my GAMES freebie. In this download, you will get FIVE games your student can play in any subject. The games can be used to review sight words, vocabulary words, phonics based words, math facts....the list goes on. The games included are : BAM!, ZAP!, Don't Feed the Raccoon, Baseball and a general game board. Game directions are included for each game as well. 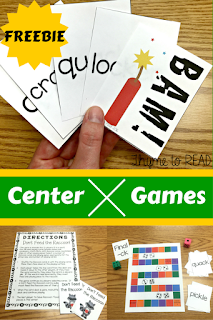 Also included in this download is a sample of final -ck phonics games cards. If you are looking for more low-prep game cards to add content to this freebie? Click HERE! I have Dolch Word cards, and I am add to the list of phonics based cards all the time. If you do not see what you are looking for, ask! I can put a rush on a set for you. Thank you so much for joining me in this link-up. I truly hope the tips and freebie will help support you in establishing new word work routines in your classroom. 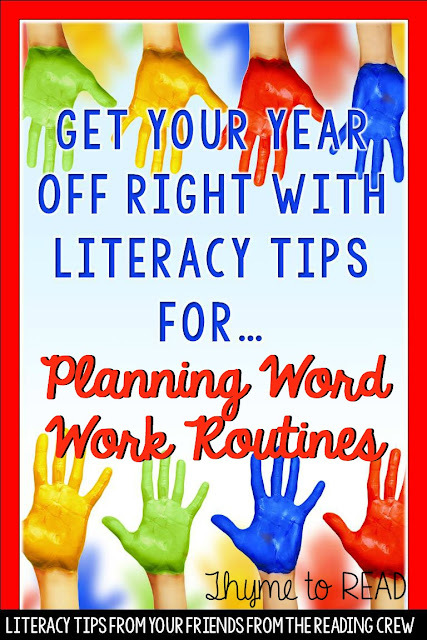 If you have other tips you would like to share about your word work routines, please share them below in the comments! I hope you have the most FABULOUS school year ever. Great post! I love the reminder about the meaning of MULTI. You shared so many fun ideas, especially collaborating using Padlet. Wonderful ideas!! Of course I love how you have integrated Padlet :) Thanks for sharing! An incredible post as always! I love padlet too and I am not sure how I didn't know your game freebie existed but I just downloaded it. Routines are so incredibly important especially when you have kids for such a limited amount of time! Great tips! I love how you included technology with Padlet.